Irvine Adamson & Co, Chartered Accountants was established in 1987 on the amalgamation of two firms of accountants (Fox & Irvine and Adamson & Co) within the town of Kirriemuir in Angus. Fox & Irvine had previously commenced practice in 1948. Our portfolio of clients is drawn from many different business sectors, a significant proportion of which are from within the Tayside area. Farming, construction, retail, health care professionals and manufacturing are amongst the clients of the practice. We act for private clients, owner-managed businesses, professional practices, companies and charitable organisations. Complementing the two partners, we have a strong team comprising accounting, payroll and administration staff. Our team has a wealth of experience in providing accountancy and taxation services to our clients. A graduate of The University of Abertay, Dundee, Lynne trained as a Chartered Accountant with a Dundee firm, qualifying in 1991. 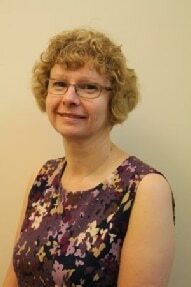 She qualified as a Chartered Tax Adviser in 1994 and joined Irvine Adamson & Co in 1995. A personal tax specialist, she was admitted as a partner in 2004. She acts for and provides tax, accounting system and business advice and services to owner managed businesses. These range from one man sole traders to multi million pound companies in business sectors ranging from farming through to construction and retail. She also acts as Independent Examiner to a number of Charities. In her spare time, Lynne is an Elder and Treasurer of Tayport Parish Church. She also enjoys spending time with her family and watching football. A graduate of The University of Dundee, Yvonne trained as a Chartered Accountant, qualifying in 1997. She added to her qualifications in 2001, becoming a Chartered Tax Adviser. After gaining a range of experience in private practice she joined Irvine Adamson & Co in 2003, and was admitted as a partner in June 2009. Yvonne has a broad portfolio of clients, covering all business sectors, from hoteliers to retailers through to the construction industry. She provides business advice and taxation services to sole traders, partnerships and small companies. Outside of work Yvonne enjoys spending time with her husband and two young daughters. A keen musician, she enjoys all types of music but still has a particular interest in Scottish Dance music. Yvonne is also a member of the Rotary Club of Kirriemuir. 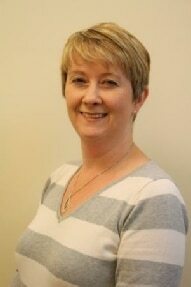 A Graduate of Glasgow Caledonian University, Jennifer joined Irvine Adamson & Co in 2009. Progression within the firm led to formal training and she qualified as a Chartered Certified Accountant in 2015. Jennifer has a range of general practice experience, working with owner managed businesses, assisting with accounts preparation and systems advice. She also assists both partners with tax compliance and advice, as well as Independent Examinations of small Charities. Her knowledge covers many sectors including agriculture, construction and retail. 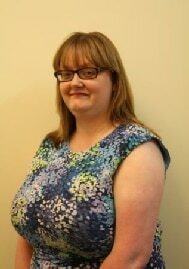 Outside of the office, Jennifer is leader of two Rainbow Units and a Guide Unit within Girl Guiding Kirriemuir. She also enjoys spending time with her family and friends.